We grew up in my family believing thirteen was lucky. Quite a few family members were born on the 13th and that was evidence enough. 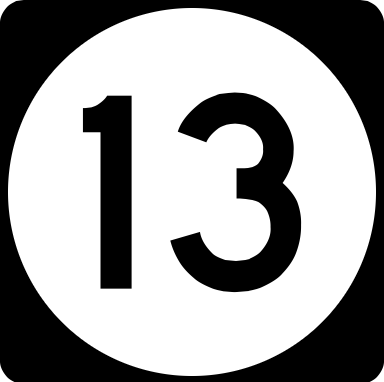 Later I heard that 13 is a good omen because it means a death is coming, metaphorically. Some aspect of us needs to die in order that we become our perfect (12) self. Began the year with a nice walk, suggested by Rick Nichols. 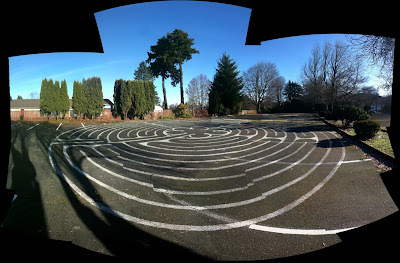 This is the labyrinth at the corner of NE Stark & 47th in Portland. Have you ever tried a labyrinth walk? It's been described as a walking meditation, and is used as a tool to help us contemplate and connect with our own path - narrative - purpose - story. What a wonderful sunny day to walk a labyrinth in Portland.